The 7th stop on my College Tour was to East Lansing, Michigan to visit the Spartans of Michigan State. Being a west coast guy, I wasn’t very familiar with this region or program. I knew that in the past Michigan State had won numerous National Championships, and that recently they’ve won at least a share of the Big Ten Championship numerous times since the start of this millennium. I also knew about Michigan State basketball and Tom Izzo, which I got a chance to see on my stop and you’ll see on the footage. Out of all my stops, this was the one I was most excited about to get out and see, and it didn’t disappoint. Last year MSU signed David Fennell, a DL from Sunset HS in Oregon. The coach on their staff responsible for recruiting the Northwest is Brad Salem. I got in touch with Coach Salem months ago and we sparked up a good relationship. Eventually it led to me heading out to East Lansing and seeing the school and program first hand, and I’m glad I did. When I got to the football offices, Coach Salem was waiting to meet me. He’s the RB coach for them, and a great one at that. I watched him at their camp working with the RB’s, and he’s a great technician as well as a coach all the kids can relate to. He showed me around the football complex, and the place blew me away. Immediately I felt the history and tradition of the program, going back many years before I was even born. During one 14 year span in the 50’s and 60’s, MSU won 6 National Championships! That puts them up there in an elite category only a handful of schools in the entire country can claim. The coolest thing about MSU’s athletic facilities was how their weight room was connected to their indoor practice facility, which was connected to their 2 and a half full grass and turf outdoor practice fields. I’ve never seen anything like it, before or since. Everything about MSU’s football facilities, academic facilities, and program are 1st class. The Clara Bell academic center was top of the line, with computer labs and study hall rooms and tutorial rooms. The players lounge area was one of the best I’ve seen. It was equipped with a pool table and big screen TV’s and video game consoles with couches, as well as tables and bar stools for just lounging around. The coaches offices, team meeting rooms, and locker room are all big and quite astounding. And last but definitely not least is their game stadium, which seats an abysmal 75,000 plus. While there, I saw the construction that was putting in two 1,500 square feet big screens on one side of the stadium endzone, and a 5,000 square foot big screen closing in the other endzone. The National Championship and Big Ten Championship banners up throughout the stadium let you know that you’re in a place that is used to winning. Retired names and numbers of former players also let’s you know that MSU is a place not only to expect success as a Collegiate football player, but also a place that helps get you ready for an NFL career as well. Overall I would give Michigan State an A-. East Lansing is a beautiful city, and a great College Town. The program has been successful, and doesn’t look to be slowing down any time soon. The academic facilities are quality, and the athletic facilities are some of the best I’ve ever seen. The coaching staff seems to be top notch, but I didn’t get to meet all of them. However, the ones I did meet impressed me. I mentioned Brad Salem and just want to highlight him for another second. He’s a rare breed in this industry. Coaching at a big time school like he is, he could easily have brushed me off. He did just the opposite though. He showed me around on a day when they had hundreds of kids on campus for their camp. I knew he was busy and being pulled a million different directions. But he knew I was out there on behalf of all the Northwest kids and families, to come home and give you all the attached footage to watch and write up to read. He made it clear that the Northwest is an area they’d love to really get a foot hold in, and knows that there’s a lot of talent here. The only reason I didn’t give MSU a solid A is because of the distance for Northwest kids. It does make it a little more difficult to have family and friends come see you. So the school and program is not a place for a kid who’s a home body and not very independent. On the flip side, for kids that have no problem leaving home and want an experience that few other programs and schools throughout the country can offer, MSU would be a great option. I’d love to see a dozen kids a year head out to their camp in the summer to see the place for themselves. It would also help to let their coaching staff watch each kid workout in person. 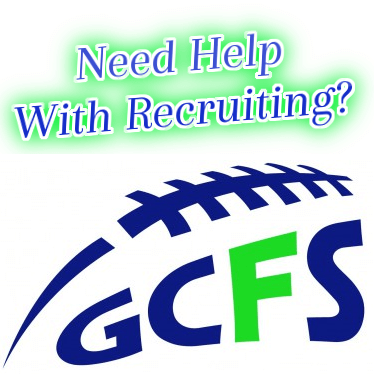 If you’re fortunate enough to get recruited by them or get an offer, most likely coming from Coach Salem, you’d be crazy to not have them at the top of your list. If you don’t believe me, check out the footage from my visit and see for yourself.